McBrayer’s Award Piano proudly serves North Texas as it’s largest & most experienced Retail Piano Sales Outlet & full service piano shop. Conveniently located within the heart of the Dallas / Ft. Worth Metroplex, Award Piano’s huge showroom is packed with value priced pianos, Hammond Church Model organs with Leslie speakers and digital keyboards to suit most every budget. Whether shopping for the budding prodigy or the seasoned pro you can confidently select from a host of brands such as Yamaha, Steinway, Kawai, Mason & Hamlin, Hardman, Story & Clark, Young Chang, Boston, Chickering, Knabe, Kimball, Wurlitzer and many many more. McBrayers also carries the ever popular State of the Art player pianos from distributors such as Piano Disc & QRS (which we can also professionally install upon your own piano). 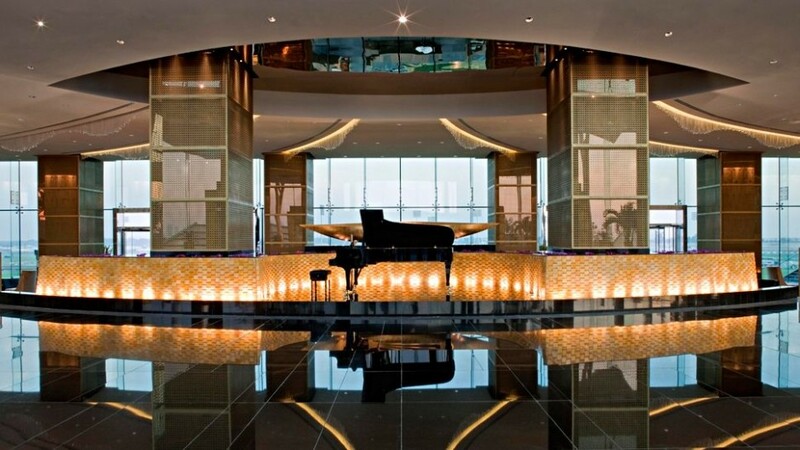 Award Piano also maintains an excellent pool of studio model & grand pianos available for event rental. Services include piano moving, storage, tuning & repair, refinishing & complete restorations, piano evaluations & insurance estimates as well as fire, water or disaster extraction. McBrayer’s buys pianos of all types too. 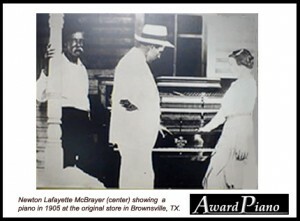 It was Newton Lafayette McBrayer who started it all, founding McBrayer Piano in Georgia as a family business around 1895. Newton Lafayette was a piano teacher, tuner, and gospel song writer. He had four sons, Hubert, Joe, the twins Bill and George, and a daughter named Opal. He moved his family towards Texas, selling pianos along the way. The family settled in Farmersville, Texas, where each of the boys, Hubert, Joe, Bill, and George grew up and continued to expand the family business. 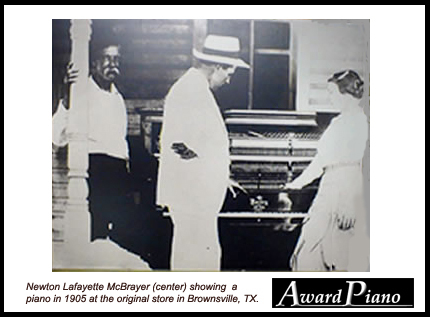 In the early 1920’s the family moved to Tulia, Texas where Newton Lafayette’s brothers joined the growing business. After the depression era, Newton Lafayette and sons moved to Fort Worth. Following World War II, Hubert and his sons, Daniel Sr., David, and Mack, sold and restored pianos from their building in downtown Fort Worth. Management is currently in its fourth generation with the passing of the family business to Daniel Jr. (Danny). As we move into the new millennium, it is obvious that the McBrayers bring with them an amazing wealth of knowledge and history in dealing with complicated instruments. Therefore, it is no surprise that they would embrace the latest advances in technology, such as the world wide web. In fact, with the creation of this cutting-edge internet website, Danny is pleased to provide you with a very useful tool to assist you in what is an extremely important decision; buying a piano, or servicing the valued instrument that you already own.